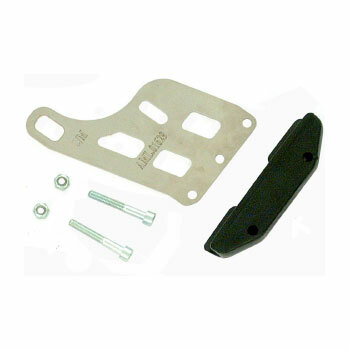 Fastech-Racing carries an assortment of frame protectors to meet all your racing kart needs. This is the smaller / thinner version of the Disc Saver. More clearance to run the chassis in the low position. 15mm (0.6") thick - Will keep the chassis off the ground by this amount. High quality 4-piece frame guard kit from KG. Mount one on all four sides or have an extra for the front that typically wears out faster than the rest. Hardware included. High quality nylon frame protectors fit 28, 30 and 32mm. Hardware included. 3 pieces generally needed for the front and sides. Sold individually. 3-piece stainless steel frame protector. 3mm (about 1/8") thick. Front section is 25cm (9-3/4, side sections are 22.5cm (8-3/4"). Hardware not included. Attaches to the floor pan to protect the front and side frame rails. 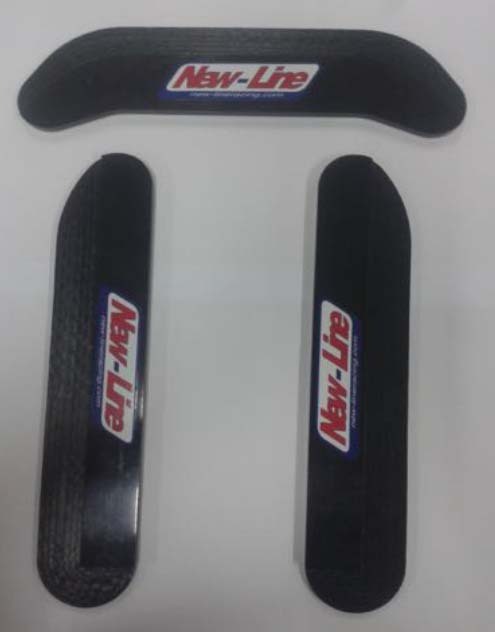 Perfect for karts that get excessive wear at the waist and nose of the kart. 6.5mm (1/4") overall thickness. the guards are UN-drilled and hardware not included. 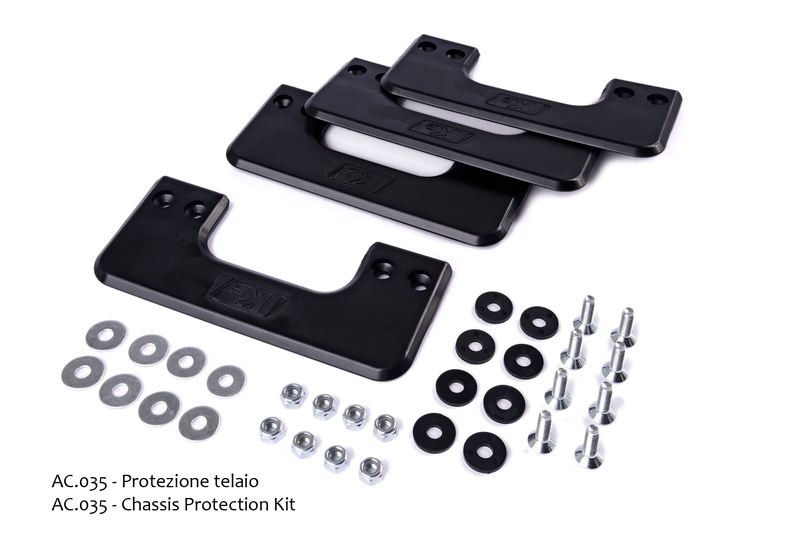 The Large Skidplate Kit provides the ultimate in chassis protection. Thick polyethylene that is CNC machined to fit chassis tubing, takes all the abuse from the track surface and curbing, saving your expensive kart frame from damage. This kit fits many different fullsize sprint kart chassis. 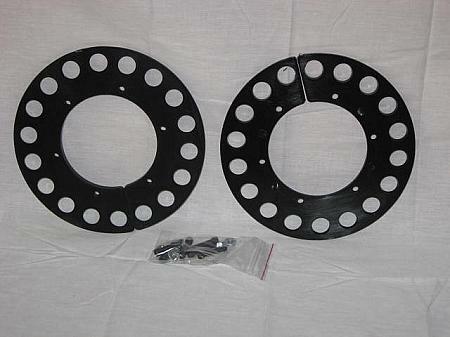 (Rookie/cadet chassis should use our Small Skidplate Kit) With today's soft kart frames, chassis protection is a must. Protects against damaging your chain/sprocket/sprocket hubs when hitting curbs or for those off track excursions.Protects against thrown chains when hitting curbs meaning you get to finish the race. 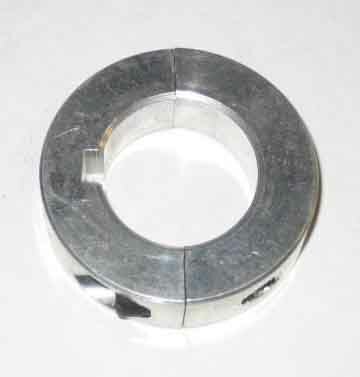 32mm steel split collar used as a frame guard on 32mm karts. 11mm (0.4") thick - Will keep the chassis off the ground by this amount. Thick enough to prevent the frame from getting ground down but thin enough to minimize obstruction.